After two weeks of open submissions, Belarus’ application period came to an end on November 22. As we gather up the courage to watch the inevitably kooky and hilar livestream of auditions, speculation is mounting over precisely who has thrown their hat into the ring for Eurovision 2017. Earlier this week BTRC revealed in a radio interview with Radius FM that they had received 36 applications in total, and in recent days that number has reached 64 as postal entries (stamped November 22 and earlier) arrived at HQ. The broadcaster has also revealed via its official TVR.by web site that it has received entries from a broad geographical area, including Belarus, Russia, Ukraine, the Baltic countries, and even Turkmenistan. There’s also an application from a citizen of Nigeria, who is a permanent resident of Belarus. The open audition of the national selection will take place at the Belarusian Television and Radio Company (BTRC) on November 30. A professional jury will name no more than 15 finalists, and their names will be announced on the day of auditions. BTRC will stream the auditions online for your amusement (and bemusement). The final selection will take place no later than January 25. 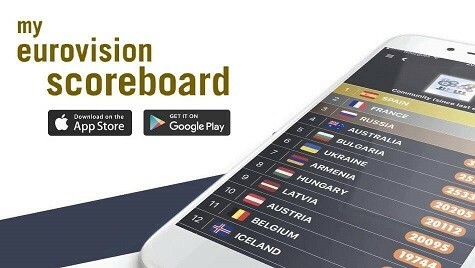 The finalist with the highest number of points both from the jury and audience will be named the winner and the official representative of Belarus at the Eurovision Song Contest in Kiev. Several former entrants and big acts have already revealed that they are going to participate. We’ve made a list of the most notable participants below. Vadim Kapustin is currently competing on The Voice of Russia. He said in an interview with KP that he was interested in representing Belarus because of his father’s Belarusian roots. He will perform a song called “Red Line” and explained that it’s about the social and political cleavages that have developed within the European Union. The song was co-produced by Elton Ahi, who previously worked with Elton John and our old friend Engelbert Humperdinck. The duo consisting of Kseniya and Artyom will make its third attempt to represent Belarus at Eurovision. Last year, they finished in fourth place with their song “Hyeta Zyamlya”. This was the only song in the Belarusian language despite the fact producers had previously said they would favour Belarusian songs. And this year Navi will compete in Belarusian once more with a song called “Historyya mayho zhytstsa”. After participating in the national selection several times and taking turns on The Voice of Poland and The Voice of Russia, the Belarusian accordion player and singer landed in London earlier this year to participate in Britain’s Got Talent. Vitaly Voronko even earned enough support from the judges to go through to the semi-final where Simon Cowell called him “the worst thing I have ever seen”. This year he will participate with a song reportedly called “What’s Your Name”, inspired by his BGT audition. In recent days the rumour mill has spun hard about a possible entry from Nargiz Zakirova. Her producer Maxim Fadeev, who penned Belarus’ Eurovision 2010 entry “Butterflies”, previously announced that he would write a song for Belarus. And he recently took to Instagram to say that he and Nargiz have a surprise. However, BTRC has revealed that they have not yet received an entry from the duo. After two attempts, Alyona Lanskaya finally got to represent Belarus in 2013. She made the most of her moment, and decided to pop out of a huge disco ball. Her 16th place finish remains the most successful of any female entrant from the country. This summer she revealed that she had prepared a song for Eurovision 2017 which was ready to go. But according to Belarusian media KP, she has not filed an application. Two years ago they were the most talked-about Belarusian act — a female five piece formed by former Eurovision winner Alexander Rybak whose sole purpose was to go to Eurovision. The folk influenced act sang about how bad their English accent was (true). But their honestly only took them to a fifth place finish in the national final. Last year they ditched their folk-only look and released their follow up single “Lapochka”. Sadly Milki will not be at this year’s competition. Who do you want to represent Belarus at Eurovision 2017? Let us know in the comments down below! — With reporting by Stanislav Smolenko. KrtuaijinJsly 15, 2011 at 8:49 pm Nice article, I didn’t meant to make an account first but I would like to see how it will develop.I would be thankful if you have any invites left.Keep with the good work! I hope someone at the Wiwibloggs team read this? Thanks! Today – the live auditions for the Belarussian final 2017 took place – as you know. However, I wasn’t able to see it, when it was broadcasred at the web at 10.00 CET easrlier today. Do you know if it is possible to watch at the net somewhere? The performance of all the songs? If so – I would be very grateful if you could tell. I LOVE to follow the NFs 🙂 Thank you very much! LOL, that transliteration of “This land” made me laugh, who have done it? (“Hyeta” that is said as “Geta” in Belarusian actually written as a Russian bad word that means, umm “something irrelevant or unimpotrant, unusable or just a part in a mechanism or just an object”). rooting for navi and waiting for my other favorite artists (in case their names will be revealed later). Would love to see Litesound or Teo have another shot at representing Belarus. Ain’t nobody got time for a superman-wannabe playing accordion …. can we have someone bringing some credible music or is Belarus playing the role of insignificant music contributor to the whole game another year? I liked Navi a lot last year. I am hoping for an actual entry in Belarussian. I’d love to see milki or Alyona again soon, something fun from Belarus always gets me excited!